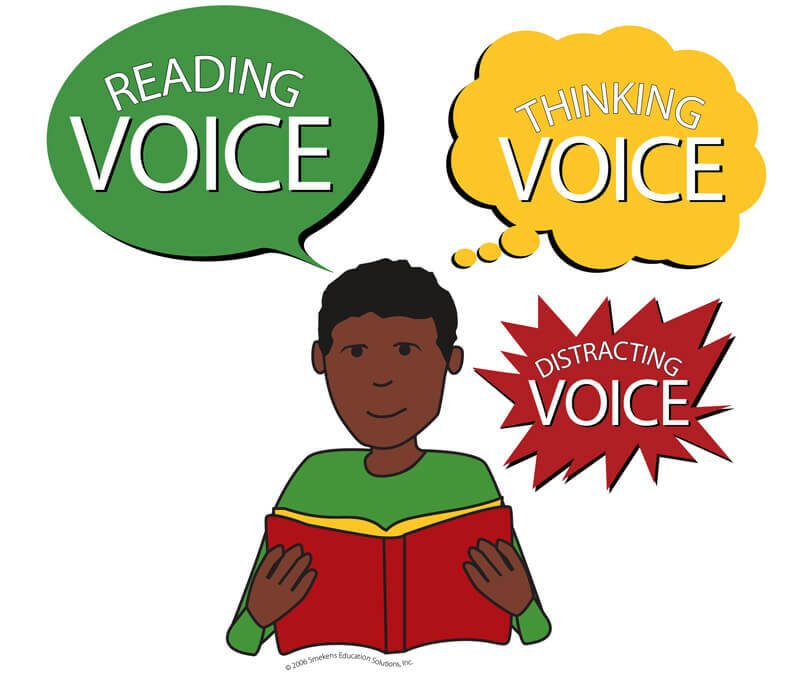 Comprehension occurs when the Reading Voice and Thinking Voice are active. However, all readers experience times when their eyes are looking at print, but their minds wander. In these instances, the Reading Voice continues to decode the words, but the Thinking Voice is no longer engaged with the text. 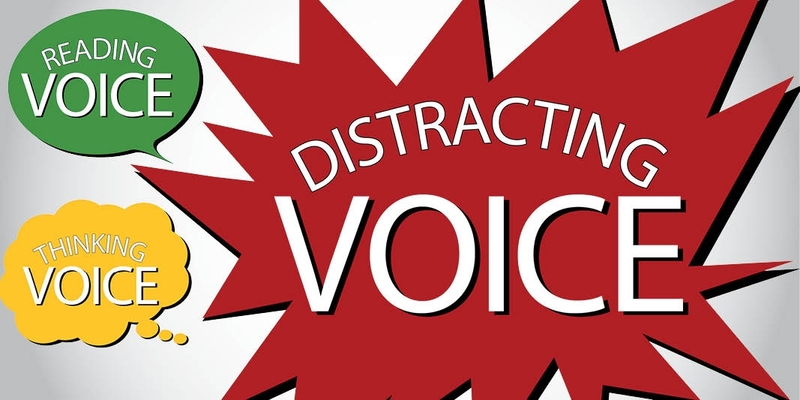 This is the Distracting Voice in action. The Distracting Voice can only talk if the Thinking Voice isn't. Note that the two voice bubbles used to illustrate this idea are on the same side of the character. Either the reader is thinking about the text, or he is thinking about something else. It's important to use whole-class lessons to teach students about these "voices." Thinking about someone else (e.g., family, friend, etc.). Thinking about something personal that happened already or will in the future (e.g., party, ball game). Thinking about something happening right now (e.g., noises, conversations, activity occurring within the immediate environment). Daydreaming about something/anything more interesting than the text. Continuing to relive a text-to-self connection (related to the text) while moving ahead in the text. Consequently, the reader is thinking about the past and not paying attention to the new ideas being read. Sometimes it's not the off-topic thought that alerts the reader that he isn't paying attention to the text. Instead, it may be the Thinking Voice attempting to talk, and the reader realizes that he isn't understanding the text anymore. This lack of understanding indicates that the Thinking Voice is confused. It may be asking questions or trying to make sense, but it can't. I can't remember/retell anything I just read. I'm lost. I don't know what's going on in this text. I know longer have a picture/movie/visualization in my head. A character showed up in the text, and I don't know/remember who he is. The author referenced a word or idea that was explained earlier, but I don't remember what it means. Something happened just now, but I don't know why or how. A competent reader knows how to get back on track. STOP! Once the reader realizes he is not thinking about the text, he must stop reading. Silence the Reading Voice; don't let it continue to decode words. GO BACK. To correct the problem, the reader needs to back up a couple of sentences, looking for the last part he really remembers understanding. He needs to keep backing up--it may be a couple of paragraphs, several sections, or even pages earlier. RE-READ. 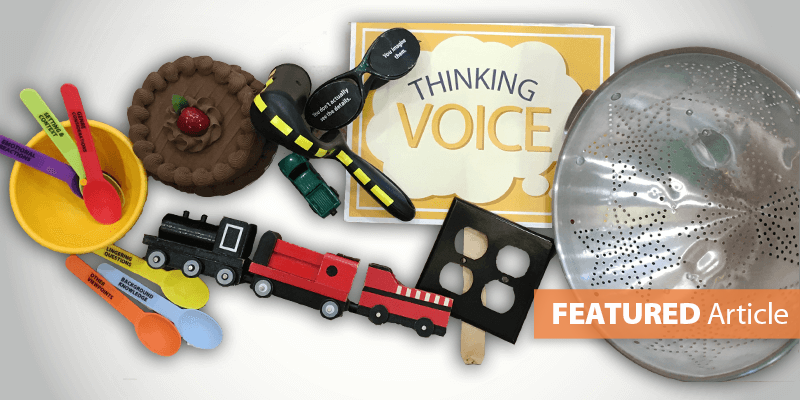 Then, once understanding is reestablished, the reader can resume reading with both the Reading Voice pronouncing the words and the Thinking Voice again engaged in visualizations, connections, summarizations, questions, etc. It's not impossible that a reader is frequently "distracted" while reading the same text. This causes him to constantly stop and restart, resulting in a long laborious reading experience. 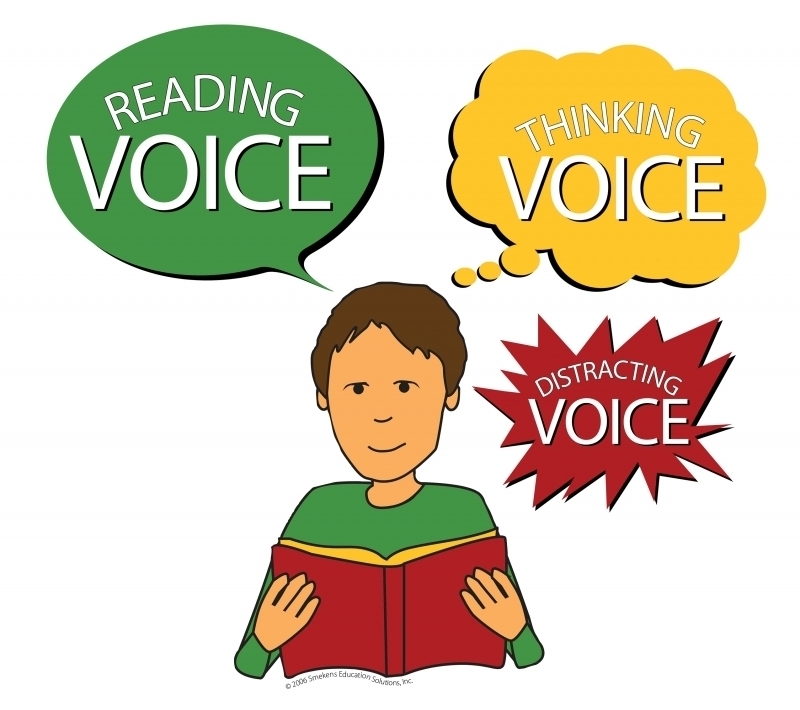 If the Distracting Voice continues to take over, even after a focused effort to use the Thinking Voice during reading, consider if the location is too distracting or if the text is too difficult for independent reading. All readers will come to a point where the Distracting Voice takes over whether the text is easy or complex. However, competent readers self-monitor and know what to do to return their attention to the message of the text. 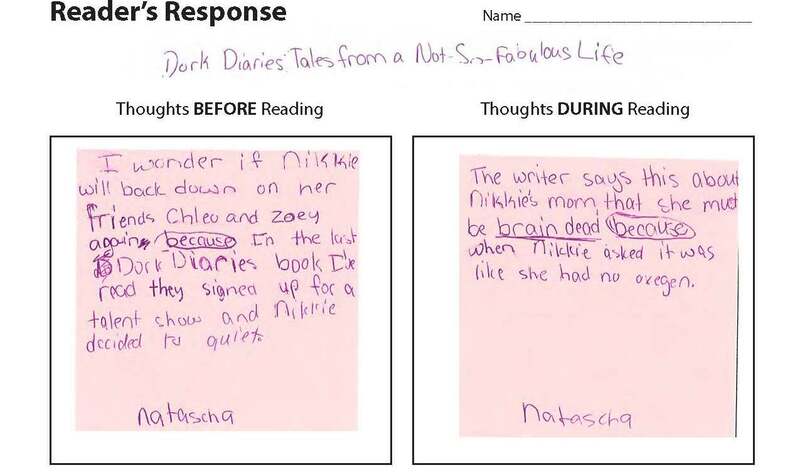 Initially teach students these metacognitive strategies with easy text so they will know how to employ them when the texts increase in complexity, especially throughout the content areas.